﻿A full sister for Neechi! We are really liking the William/Cheyenne babies! This little girl (who we haven't found a name for yet) was born May 16th, and looks just like her older brother with a little more refinement. 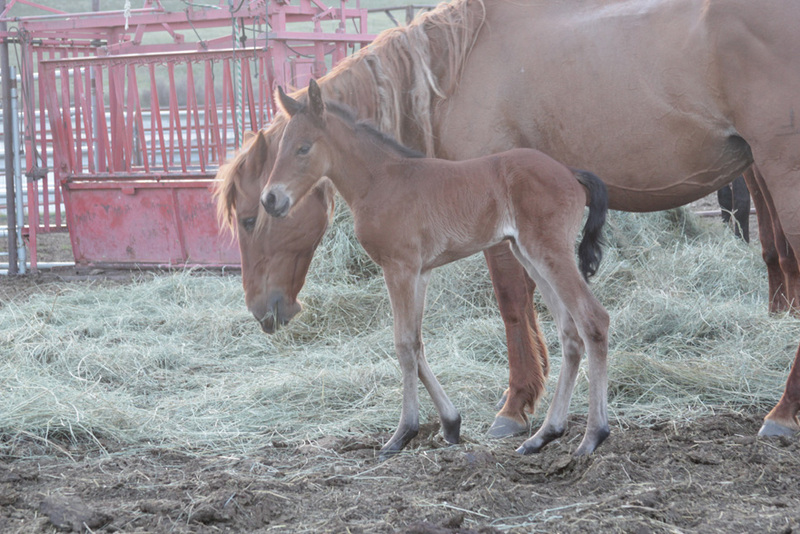 She was born out in the pasture, and she's been on the go since her legs unfolded. We'll be adding photos as we are able. Update- We've named this filly Cornelia Marie.